One of the biggest events in the UK British establishment calendar has just taken place, regardless of if you are in support of the monarchy or not, a wedding took place – Prince Harry married Meghan Markle. As with all celebratory occasions it’s a nice thing to extend greetings, so congratulations to them. A lot of people are talking about some key highlights namely, the dress, the lead-up to the day, the African-America reverend who preached so exuberantly that NO-ONE could even consider falling asleep in the church, the choir that sang so beautifully with their harmonious tones and the cellist who played with such skill. This is in great contrast to another wedding which took place in 2011, where one of the key talking points was the bride’s sister’s derriere. How things of changed in seven years concerning reporting about women. #TimesUp and #MeToo. One thing that was uniquely different was the invitation’s extended to variety of guests, performers and speakers at this event. The diversity was something that had probably never been seen before at such an event. This is mirroring of how it can be in organisations where leadership teams are mainly made up of either one gender or overwhelmingly one race and then sometimes someone who is different is hired or invited to join the board. It can feel seem like there is a thin pipeline to progress. Most importantly, once the ‘different’ person/s is in the organisation, the challenge for them can be ‘how can I still be me in a sea of people who appear to have so things in common?’. 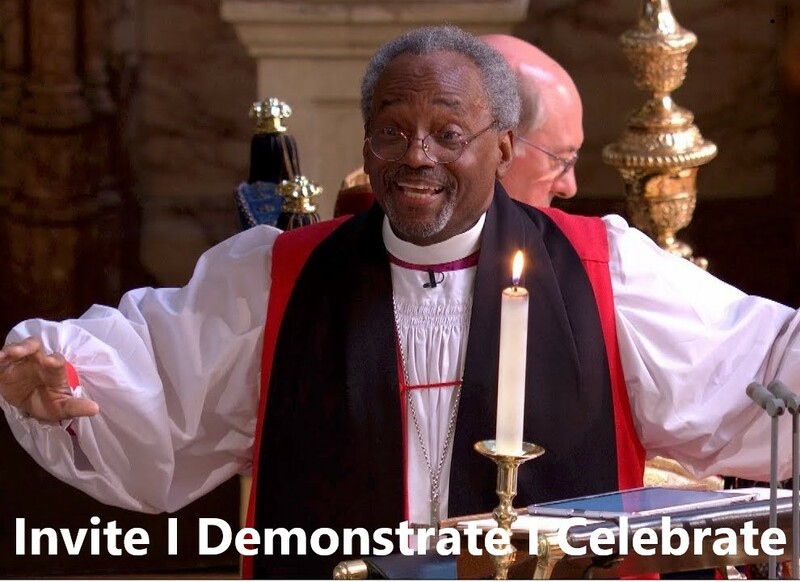 The diversity of the guest list was one key aspect but even better was the demonstration of accepting difference by making space for performers (Kingdom Choir and Sheku-Kanneh Mason) and speaker (Reverend Michael Curry) to deliver their part in their own authentic way. Diversity and inclusion continues to rise to prominence on organisational agendas having equal footing alongside HR, Marketing and IT, due to representation of everyone meaning resonating with consumers and customers and even more importantly to the colleagues within organisations. In a final reference to the royal wedding, in the ceremony after the Kingdom Choir and Sheku Kanneh-Mason rendered their pieces in the service. Everyone in the room remained silent. No one applauded in appreciation of the gifts that had been shared. I think this is odd. When the couple were pronounced husband and wife, protocol may have dictated that silence was kept, however the couple and the majority of the room heard the cheers from the crowds outside. Celebration of good times and good news is normal. The crowds outside got it right! How many times do we invite people into our arena, facilitate for them to do what they do best, but then don’t celebrate them afterwards. Not for a moment, am I saying that people who may be different to the majority are performers, however I do question if the same enthusiasm, ‘back-slapping’ encouragement and celebration is routinely afforded to those who may not be considered as ‘the right fit’ due to being different. Does everybody here look like me or have my characteristics? When was the last time, I actively made a point to engage with, communicate with or understand someone who is different to me? Do I proactively seek out and celebrate difference? Only you will know the answers to the questions, but consider becoming a champion leader in your own sphere of influence rather being the last one who got the memo, or the one who didn’t read the email. Invite diversity, demonstrate inclusion and celebrate difference.